As special reports go, the Infrastructure feature this issue is larger than most, which is no surprise given the enormity of the problem. Although modern, effective and reliable infrastructure is a key component of economic competitiveness, decades of chronic underfunding have lead to a massive deficit that jeopardizes the future prosperity of every community in this province. The AMM has long called for a share equal to one per cent of the PST that could be dedicated to municipal infrastructure, and is further advocating for a rebate or exemption of the PST municipalities currently pay. In the meantime, our special report takes a head-on look at the issue by delving into what is working – and what is not. There is more to municipal governance than infrastructure, though, and our spring issue also features some great stories – stories about partnership, about innovation, about pride in one’s community, and about unexpected returns to political life. 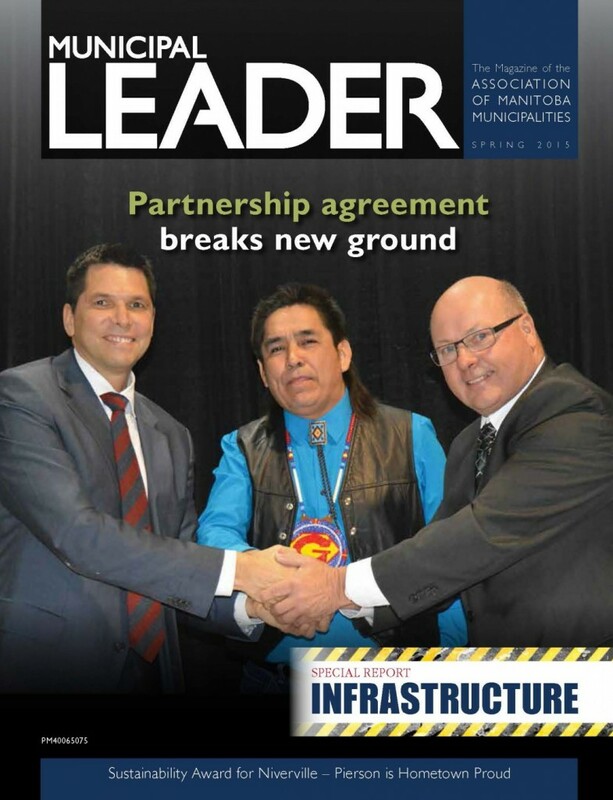 Interested in submitting an article or advertising in the Municipal Leader? Click here.